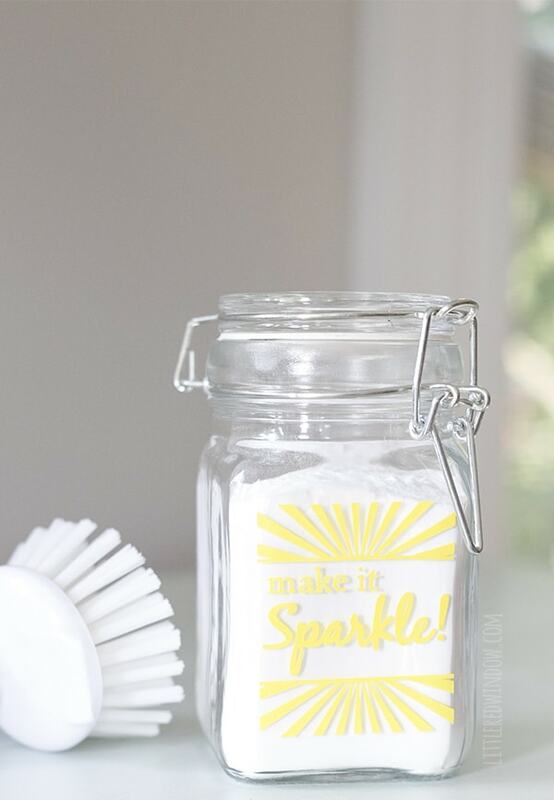 Make your own safe, easy and effective DIY sink scrub AND a cute jar to keep it in! The older I get, the more happy a clean sink makes me. Is that super lame? There’s just something about a clean, shiny, and EMPTY sink that says to my brain, “you have no responsibility right now.” And that makes me happy! Anyway, sometime around when I was pregnant with O, I started really thinking about what we put on our bodies and in our homes. My husband (and both kids now) have really sensitive skin so scented soaps, detergents, etc. were out. I have asthma, so super scented cleaning products and scented candles and things like that were also out. And I really do care about the environment and want to try and clean, as much as I can without washing a bunch of horrible chemicals down the drain. Around that time I switched to doing most of my cleaning with white vinegar. It smells strong when you first spray it, but it really works. And it’s especially good at getting rid of odors. A spray of vinegar in a stinky garbage can plus some air dry time and you won’t believe it’s the same can. But one thing vinegar never really did that well was clean my stainless steel kitchen sink. I mean it, cleaned it, but there was still kind of a haze on it. 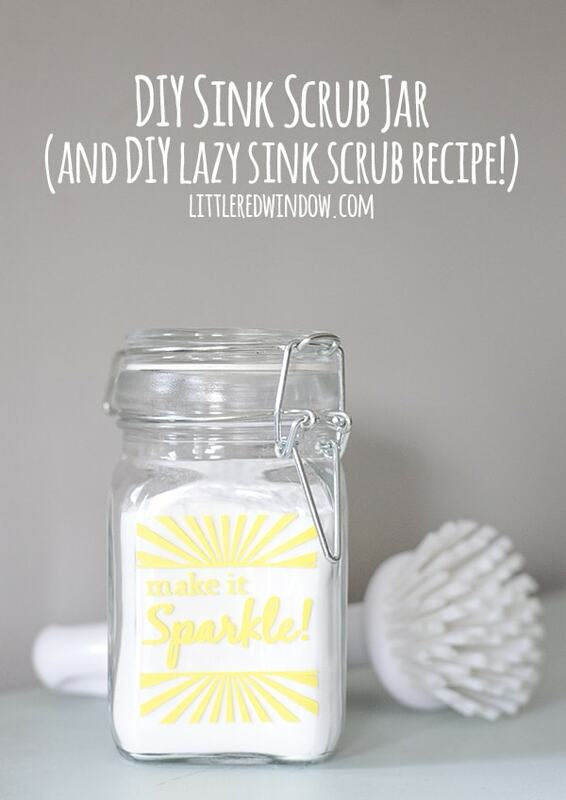 So eventually I settled on this great DIY sink scrub and I’ve never looked back! (I call it DIY Lazy Sink Scrub because it’s sooooo easy to make) But we were keeping it under the sink and it was a pain and I didn’t use it as much as I should. 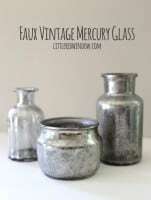 Enter the cute jar! 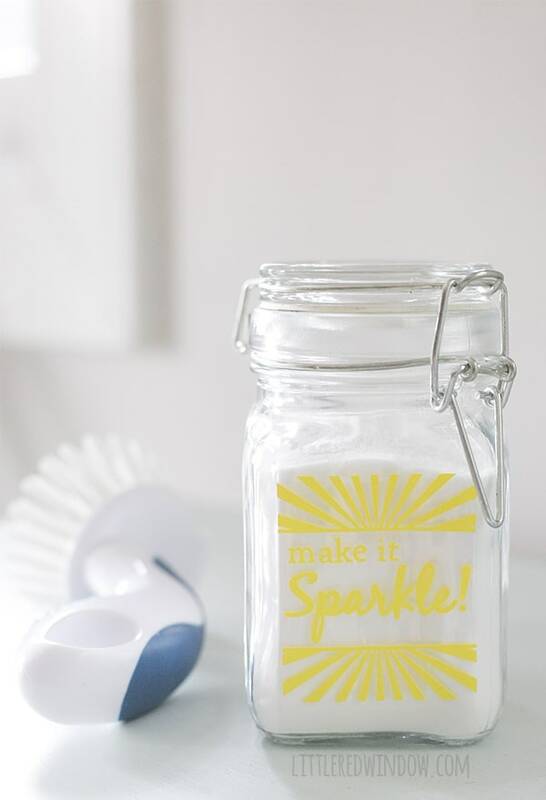 Everything is better in a cute jar! Now I can keep my sink scrub on the counter next to the dish soap and I’m all set! First I’ll show you how I made the jar, then I’ll add the recipe for DIY sink scrub at the bottom, so scroll down if you’re just looking for that. Happy cleaning! 2. They I cut my vinyl using a blade depth of 2, speed of 1 and thickness of 12. I also overcut all the intersections just a tiny bit. I find that helps projects with a lot of details like this one. 3. When the vinyl was finished cutting I weeded out all the negative space. You can use a weeding tool or I often will just use the tip of my craft knife. 4. I often use clear contact paper from the dollar store instead of transfer tape, it’s so much cheaper. 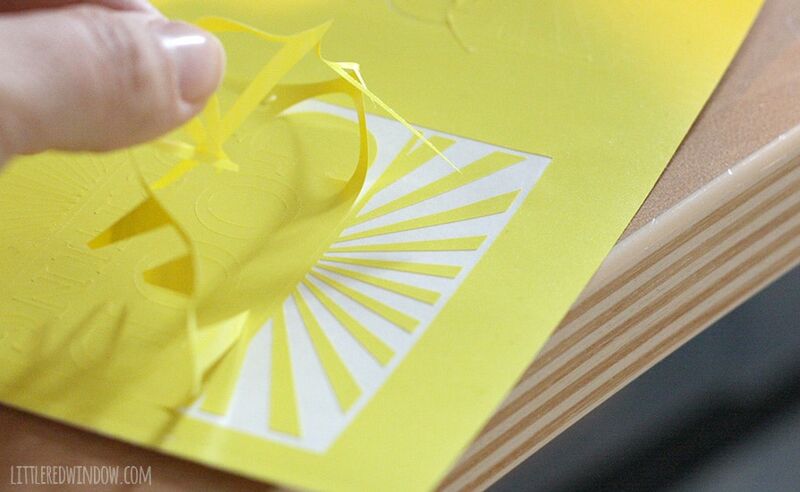 Lay a piece down on top of your vinyl design and rub all over, then gently lift the vinyl design off its backing. 5. Finally, place the design on your jar, rub all over again and slowly peel off the contact paper or transfer tape, leaving the vinyl in place! Ok, now are you ready for the easiest, best, way to naturally clean your sink? Ok, so I know. 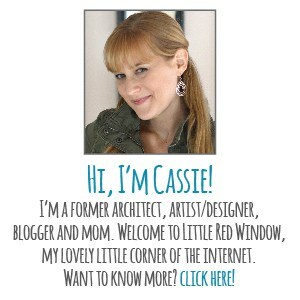 There are a gazillion sink scrub recipes on Pinterest. Most of them are baking soda + essential oil + soap. 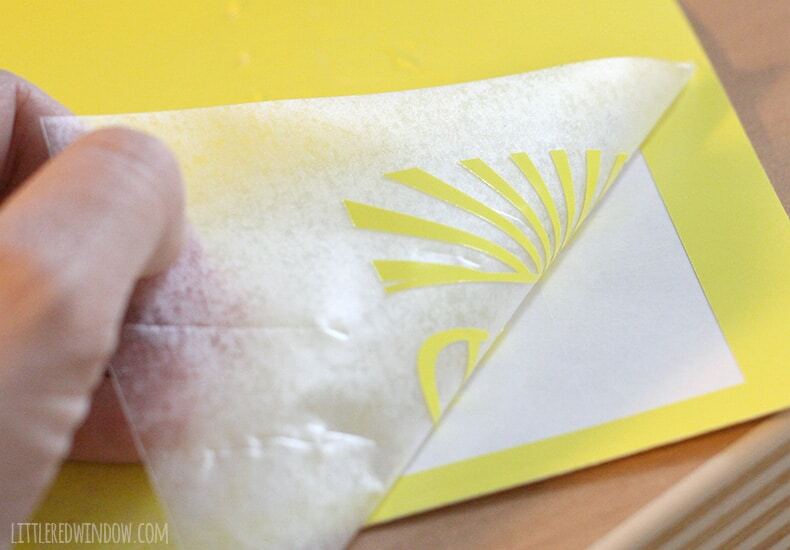 But you guys, I think the KEY to any DIY cleaning product like this is simplicity. Like if it takes 20 ingredients to mix up, I’m not going to keep up with it. Have you seen some of those DIY all purpose cleaners? No, I’m not going to go out and buy borax, citrus peel and tea tree oil (that’s not an actualy recipe, btw) and then let it sit for two weeks and then strain it and then use a funnel to get it in a bottle. No thanks. Step 1: pour the baking soda in your new CUTE sink scrub jar. You don’t even really have to measure it. Just make it 1 cup-ish. To clean the sink I just shake some sink scrub in the sink, add a squirt of dish soap from the bottle that’s already sitting right there, and then scrub and rinse. That’s it. You won’t believe how clean and shiny your sink will get. No more haze, no twenty step prep! You’re welcome, friends!